In order to find the best learning conditions, we organise your surf sessions on the best spots, during the best tide conditions. 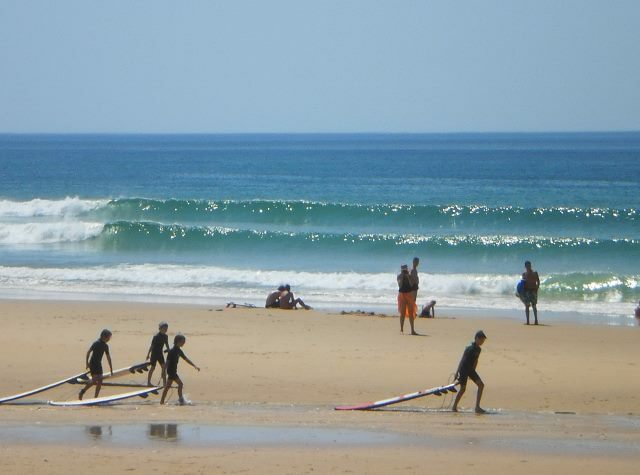 We will meet you for your friendly surf session on the ocean beach “Biscarrosse Viviers Nord”. When you arrive at “Biscarrosse Viviers Nord”, you will find us on the parking near our trailer Surf en Buch. Our careful instructors concerned about your progression will welcome you. 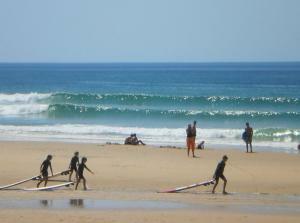 If the wheather and the tide conditions are not the best, the session can be moved to the beach “La Salie”. Session last 2 hours including the dress up and the lesson. Time in the water last from 1,30 to 2 hours depending on your physical condition and the weather. The surf sessions are organised by levels and ages. Including: Boards adapted to your surfskills and Xcel Wetsuits. Teaching by a french instructor and lifeguard. Surfbook delivery at the end of the trainingship. You can Fill out and send us back this Form Fiche inscription internet by mail or E-mail with a 30% account at surfarcachon@yahoo.fr or 22 rue Captal François de Ruat 33260 La Teste de Buch. Or you can come and meet us directly at our Local Plage des Arbousier 33120 Arcachon. . Lien Google map. : Opening time: 7j/7, 9.30 am / 7.pm in July and August.